AstraPouch® is proud to introduce the first flexible-packaging growler! 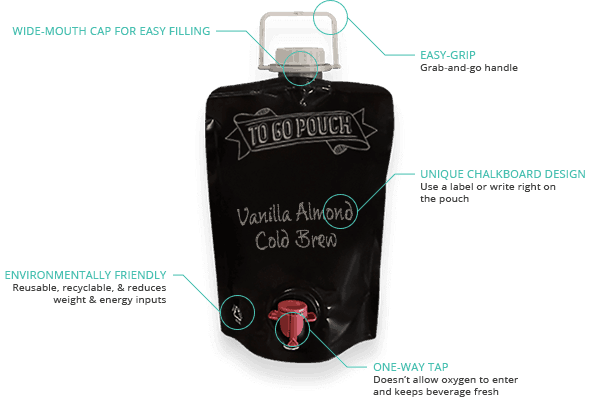 Perfect for coffee shops, wine bars and tastings rooms, the To Go pouch features the same sturdy construction, recyclable materials, and high quality tap dispensers you count on in all AstroPaq® pouches. Why Choose AstroPaq® 1.5L Flexible Wine Growler? 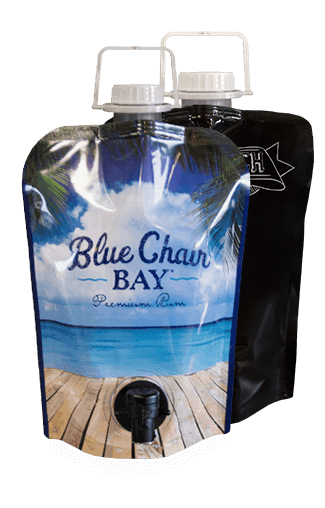 Versatile—ideal for wine, spirits, slushies, cold brew coffee and more! NOTE: The AstroPaq® Flexible Wine Growler cannot be used for carbonated beverages; use with still beverages only. Not intended for long-term storage of beverages. Patent pending. Tamper evident cap available upon request. Specialty reusable neoprene wine bag that is washable, durable & convenient. The V-Pull Dispense Connector is a specialty, reusable quick connect fitting.